Its sad but apparently Long Beach has once again beaten Lakewood to the starting line. This time on "open government" or "transparency" proposals. We proposed state legislation on this two years ago as it affects local government but quite frankly Sacramento has too much on its plate now and is looking to offload more of its burden on to local government but that's another column. We felt the best way to get Lakewood to do something on transparency was to mandate it from the state level. But now perhaps they will be shamed into doing something not to be one upped by Long Beach (something they hate). LAAG knew the city council would never act on their own as transparency is not in the city councils interest. Its better to just put "fluff" on the website so Lakewood residents don't go sniffing around too much. For some time we have linked (see our "web page links" on the right side of this page) to various open government websites like http://www.sunshineweek.org, http://public.resource.org, the Urban Governance Toolkit and the Sunshine review local government transparency checklist on our site and have requested that the city implement open government type initiatives through our postings on this site and emails. None of these initiatives cost anything but staff time, and from what we have seen the city staff in Lakewood has plenty of idle time on their hands and is quite frankly overpaid for it. Thanks to the city of Bell debacle, the California state auditors office posted its site regarding local government salaries, but not before LAAG had to request the info from the city via a public records request. More and more cities realize that transparency is badly needed at the local level. Lakewood however does not and does not feel there is a problem. They feel if you need to know something you can ask but quite frankly your questions will be responded to with a polite "Thank you we will look into it" and then the door will be closed in your face and your request will be "lost" especially if you seek something that could put the city or its leaders in a bad light. If you are lucky enough to have the emails of city council members (also well hidden from view) you can ask them about certain issues, but most pawn you off to a "staff person" and the question is never really adequately responded to. The main reason is that if you don't have the time and expertise to to a California Public Records act request and the time to pour over the records, you likely will get no where. But most importantly if it is responded to at all, it is hidden from public view so that other Lakewood voters that have the same question and don't know where or how to get the answer are left in the dark. Our city leaders of course feel there is no problem as they live "inside the bubble" not outside of it. Most are long time government insiders and know how to shield information from voters in a completely legal fashion. Its not hard. They have the city attorney to help them (who costs us hundreds of thousands per year). We have explained time and time again that its not so much that anything illegal or untoward is going on at city hall but secrecy and opaqueness breeds distrust. Its the "appearance of impropriety", or the potential for it the secrecy breeds, not actual impropriety, that's the problem. But like with Bell no one was the wiser until one of the thieves spilled the beans on the others. (we all know there is no honor among thieves). There really is no downside to openness and transparency at the local level. 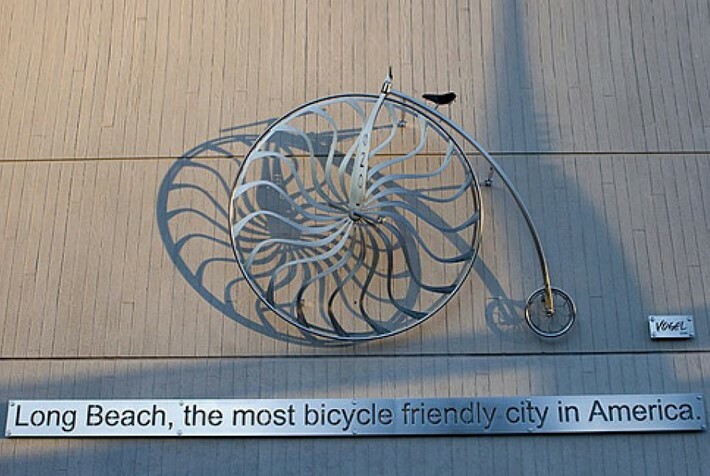 For a further look at the Long Beach initiatives click here and here. They are a good "start" (if Long Beach does not "kick the can down the road" and delay their passing, implementation and funding) Both should be combined and could use a lot more fleshing out, detail and refinements. We would be glad to lend our expertise to the City of Lakewood in the endeavor should anyone care to listen over there in the bubble.